We provisionally divide all the killer whales we encounter in Avacha Gulf into "local" and "strange". "Local" killer whales visit the Gulf regularly, returning there from year to year. We already know their habits - where they can feed or socialize, and which places they tend to pass. "Strange" killer whales rarely come to the Gulf. Sometimes it seems that they just pass it occasionally. 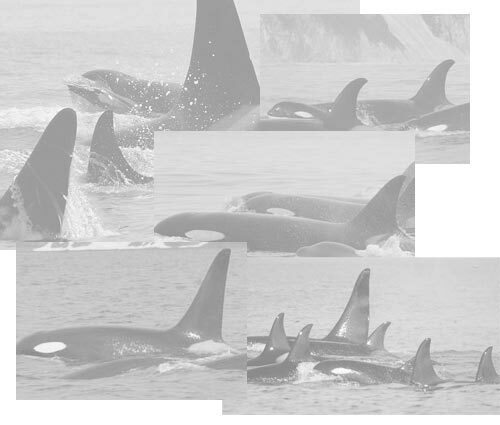 Each time we meet orcas we try to record their sounds to define which pod and clan do they belong to. We know the composition of "local" units and pods rather good. However, we still have to determine clan affiliations for "strange" orcas.